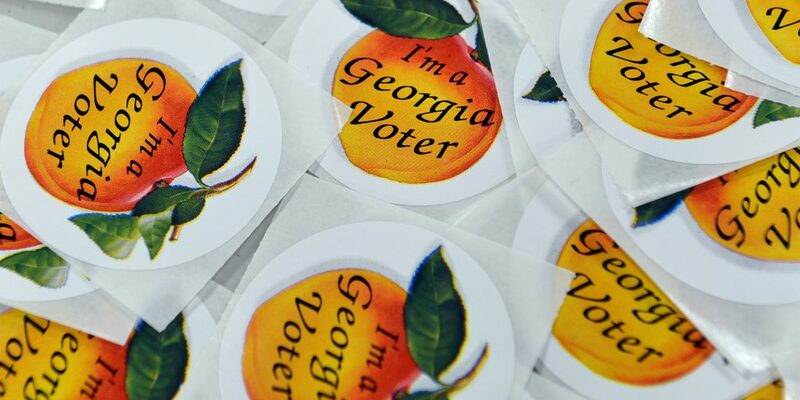 Help Us Fight Back Against Black Voter Suppression In Georgia! The state of Georgia is diving deep into the Jim Crow playbook this election cycle. From refusing to process 53,000 voter registrations, 70% of which are from Black applicants, to openly expressing concerns at increased minority voter registration because it would mean election losses for Republicans, Secretary of State Brian Kemp is going all out on his voter suppression agenda. On the first day of early voting, 40 Black senior citizens were blocked from boarding a bus to go to their polling place in Jefferson County. These are the same people who have lived through some of the worst days of segregation, and who were adults when the Voting Rights Act was passed in 1965, allowing them to exercise their constitutional right to vote without racist intimidation, literacy tests, or poll taxes. Our rights are under attack again, and we’re going to fight these brazen acts of voter suppression. This past Sunday, we joined our partners at Black Voters Matter to celebrate Black joy and resilience with food and fellowship. We listened to Martin Luther King, III, the Parkland students from March for Our Lives, and local Atlanta leaders speak to the importance of exercising our right to vote. We then loaded up nearly a dozen buses and sent rally-goers to polling locations in six counties in metropolitan Atlanta to cast their ballots. This week, we're putting up a mobile billboard in downtown Atlanta to get the word out about Brian Kemp's voter suppression tactics. Will you chip in to make a strong statement against Black voter suppression?